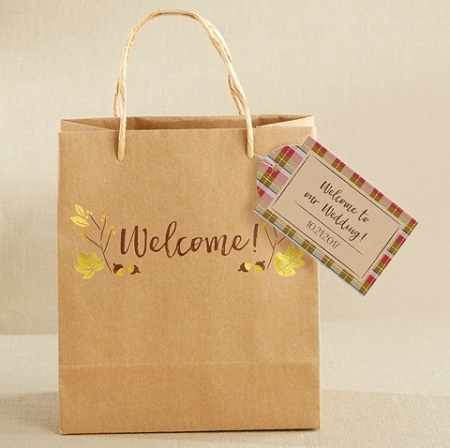 When welcoming guests from out of town, or looking for something to treat your bridesmaids, these Fall Welcome Bags makes quite the pretty package! The fall-themed Kraft welcome bag turns any gift into a cozy fall treat. 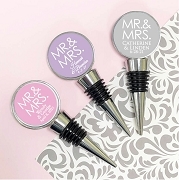 In sets of 12making an ideal choice for weddings or bridal parties of all sizes! 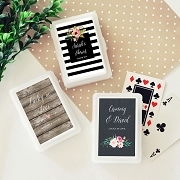 To add a personalized touch to your wedding welcome bags, add our coordinating plaid welcome bag tags.